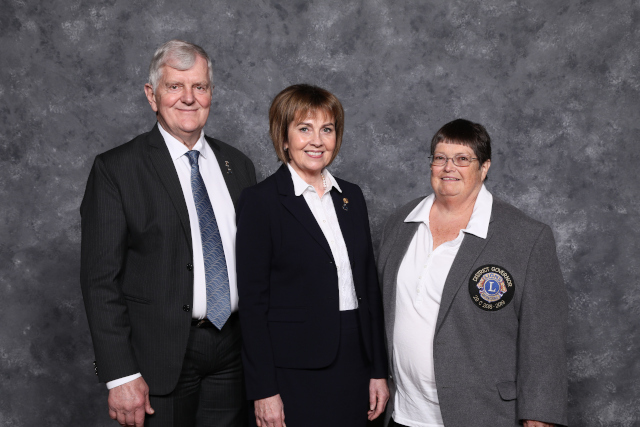 DG Charlotte Henson (right) with International President Gudrun Yngvadottir (center) and PID Dr. Jon Bjarni Thorsteinsson (left). MAKE SURE AND GET YOUR DELEGATE CARDS FROM CLUB SECRETARY FOR WILL NEED THEM TO VOTE. The district secretary and I will check delegate cards and sign them Friday evening and Saturday morning. Hope all clubs will try to attend the convention. As weather getting nicer now a good time to do service projects and fund raisers. Hope all clubs are working on adding new members. As your clubs grow the more we can do to help our communities. Remeber any new member added in April you will be able to get a service grant for which will entitle you to receive their $35 registration fee returned to the club in 2 payment one December 31 and the other June 30,2020. As long as they stay in. Have visited a lot of you this year and looking forward to visiting rest of clubs by June 30th. If you have members to be installed please contact me and will either come myself or have one ofthe District Cabinet come and install them. If there anything can do for you or your club please contact me.